You would reasonably expect a monastery to have frescoes - inside. 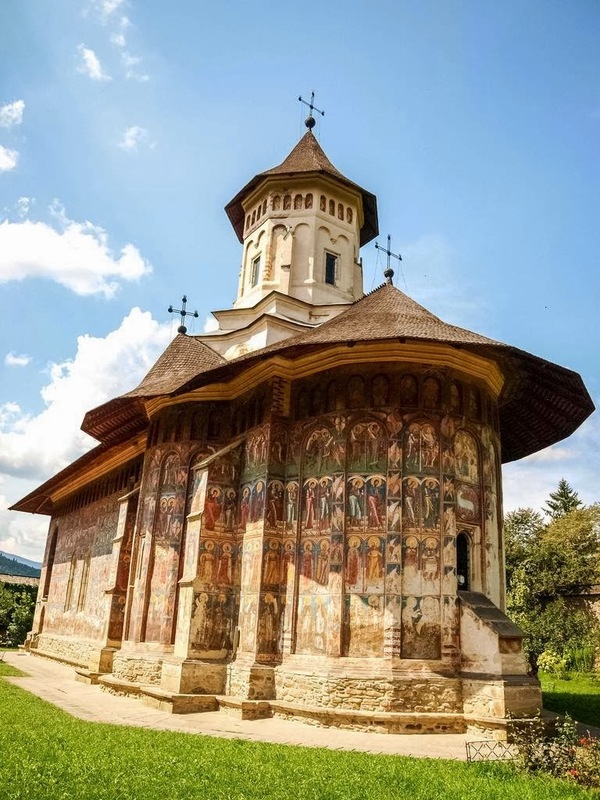 Yet a number of monasteries in Romanian region of Moldavia have centuries old frescoes on the exterior of their katholikon (main church) which have, incredibly, survived the years and the elements. Perhaps the most famous, which you can see here, is the Voronet Monastery with its bright azurite background – known to Romanians as Voronet blue - but it is not alone in this remarkable tradition.